← Marvel Let’s Us ALL Feel Like The Artist We Want To Be With 3 Adult Coloring Books…. Game of Thrones has come and gone with yet another glorious season. Much like the end of previous seasons, it has only left fans with an undeniable thirst for more. As you wait or the next season, you can whet your Westeros appetite with two fantastic collectibles based off the series. 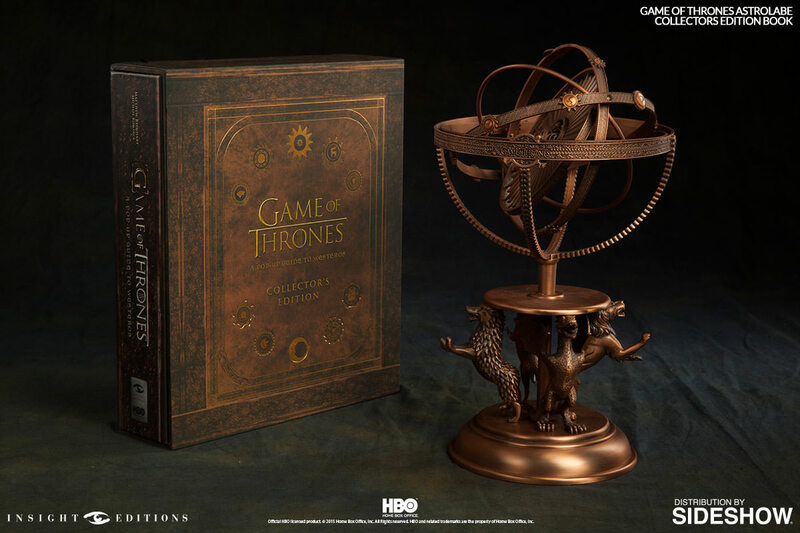 Sideshow Collectibles and Insight Collectibles are thrilled to present a stunning collector’s edition comprised of the best-selling book Game of Thrones: A Pop-Up Guide to Westeros and an exclusive astrolabe sculpture inspired by the iconic opening sequence of the hit HBO original series. The astrolabe stands over 13 inches tall and is fully articulated, with moving rings that dynamically replicate the oscillating movement of the astrolabe seen in the Game of Thrones opening sequence. Each ring is ornamented with fine details, such as the sigils of the Great Houses of Westeros, and the center ring is engraved with intricate symbology, revealing the history of both Westeros and Essos that is glimpsed at the start of each show. 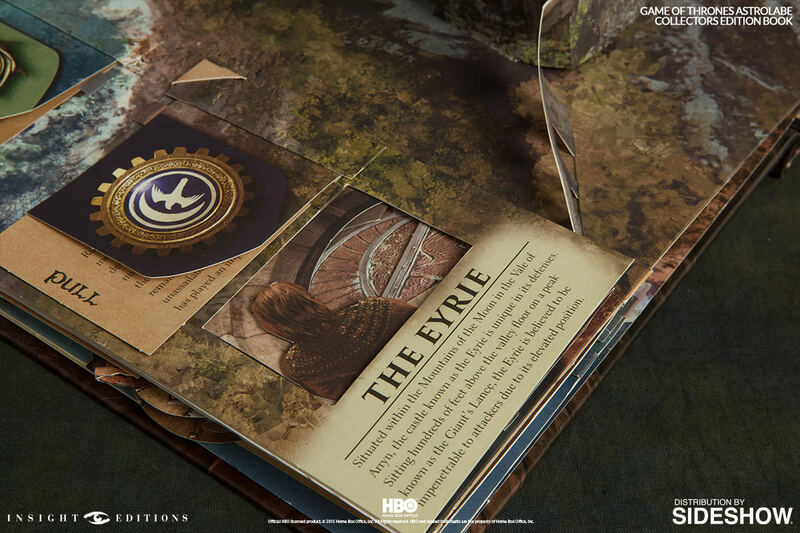 Accompanying the astrolabe is a special limited edition of Game of Thrones: A Pop-Up Guide to Westeros featuring an exclusive cover. 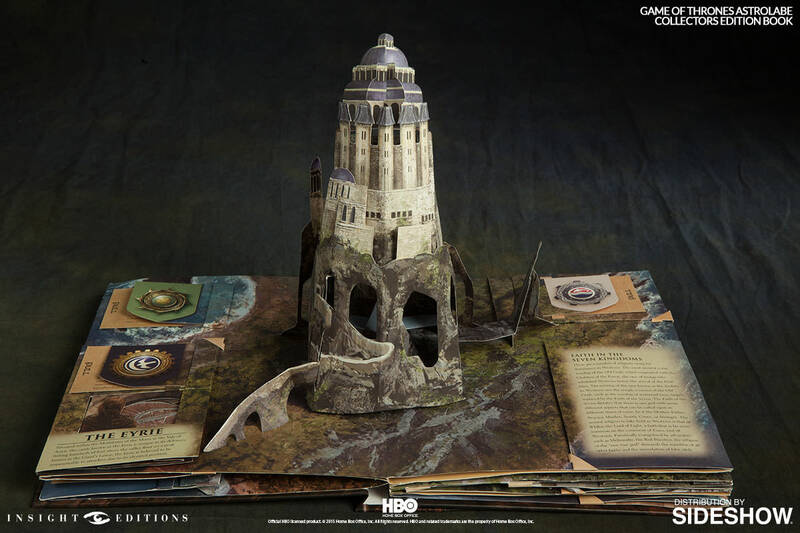 This amazing pop-up book includes five stunning spreads that fold out to create a remarkable pop-up map of Westeros that is perfect for displaying. 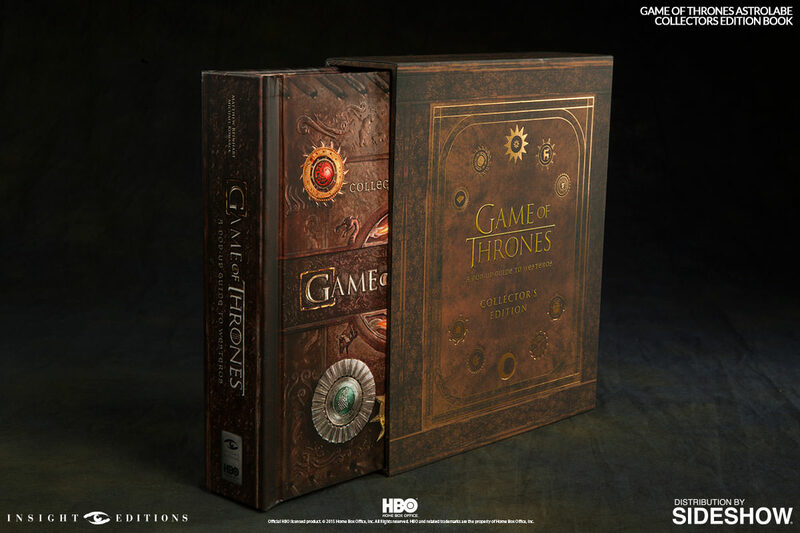 The book also contains numerous mini-pops that bring to life iconic elements of the show, such as direwolves, White Walkers, giants, and dragons. All the pops are accompanied by insightful text that relays the rich history of the Seven Kingdoms and more, forming a dynamic reference guide to the world of Game of Thrones. 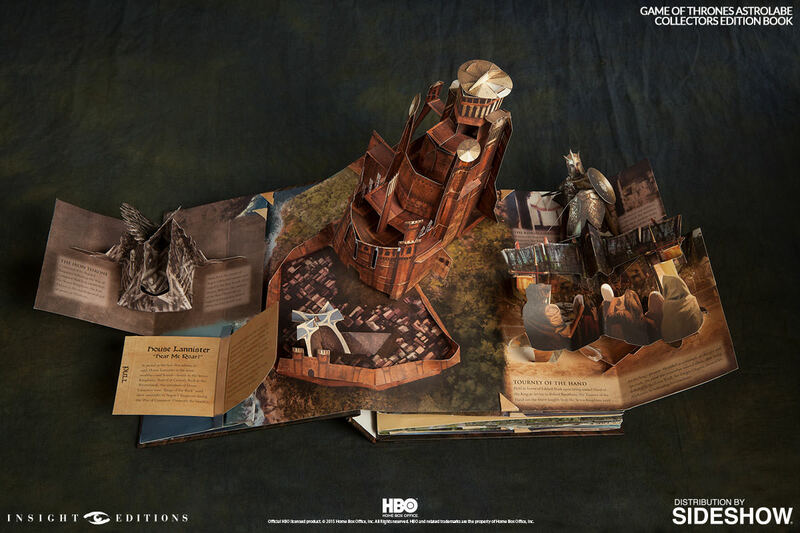 Visually spectacular and enthrallingly interactive, Game of Thrones: A Pop-Up Guide to Westeros sets a new standard for pop-up books and perfectly captures the epic scope and imagination of the series. Fans can CLICK HERE. @ to preorder this fantastic set. Be sure to follow Sideshow Collectibles and Insight Editions on TWITTER for updates on new releases and projects. 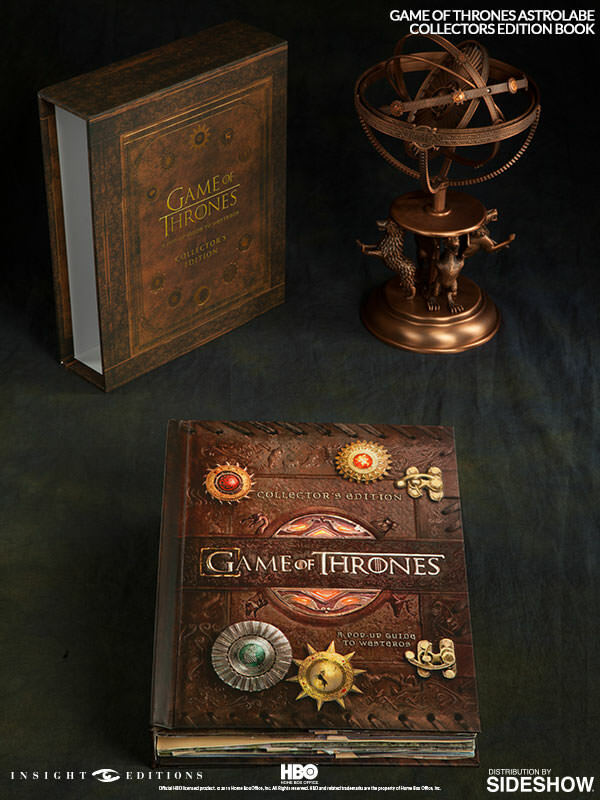 This entry was posted in Books, Collectible and tagged astrolabe, Game of Thrones, Game of Thrones: A Pop-Up Guide to Westeros, Guide to Westeros, Insight Collectibles, pop up book, sideshow collectibles. Bookmark the permalink.